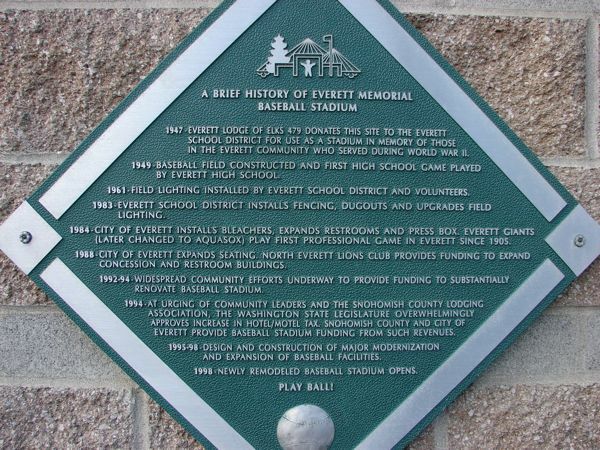 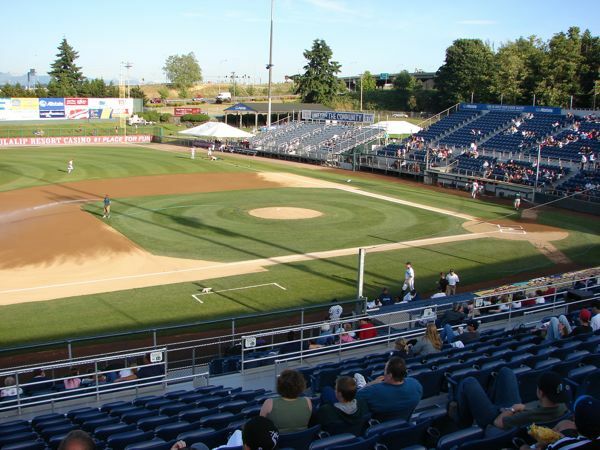 The Everett Aquasox, a Single A affiliate of the Seattle Mariners play at Everett Memorial Stadium, which opened in 1984 and received a major upgrade in 2001, seating 3,682. 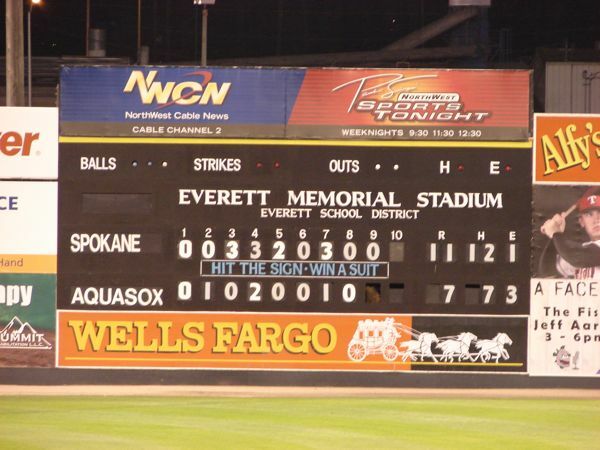 The Aquasox were playing the Spokane Indians and were unsuccessful losing 11-7. 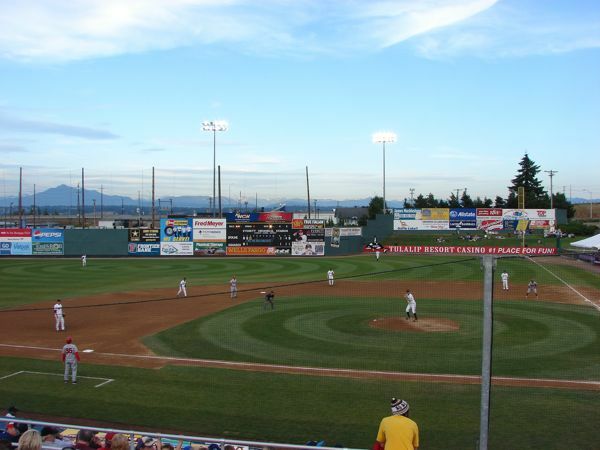 The box score was Indians R-11, H-12, E-1 and Aquasox R-7, H-7, E-3. 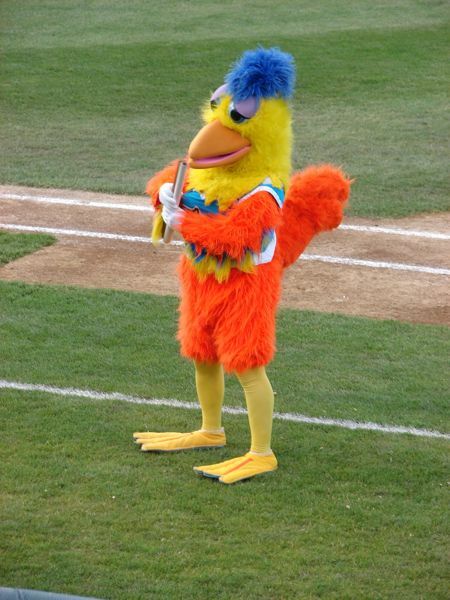 The field lines are RF-325', CF-395', LC-380', and LF-335'. 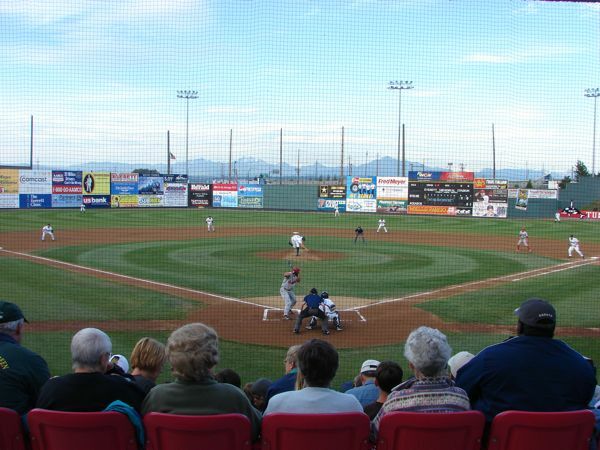 This is a nice stadium with a large field beyond the 1st baseline seating for children to run and play catch before and during the game. 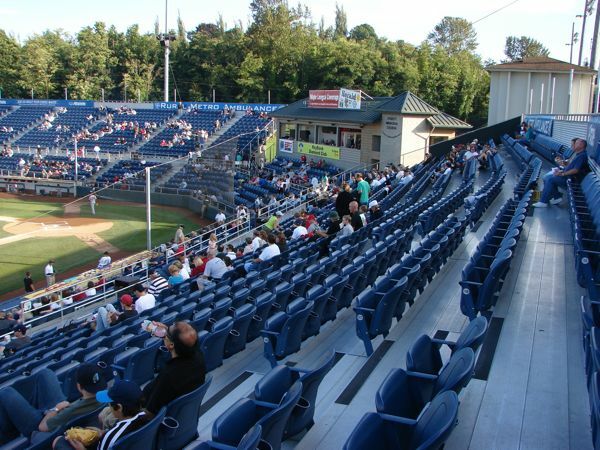 The floor of the seating area is aluminum which encourages fun stamping feet after Aquasox scores. 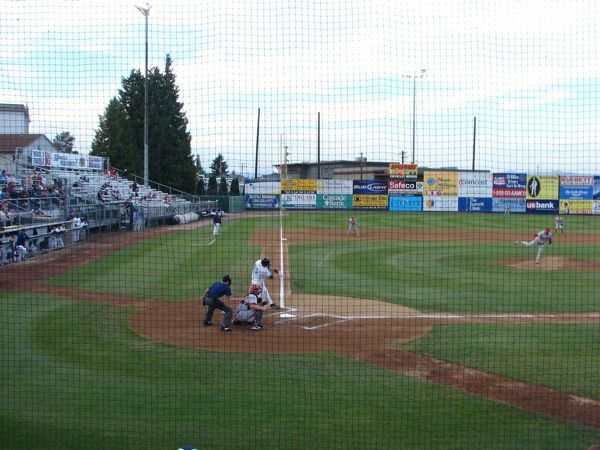 Beyond the right field fence is a grass seating area. 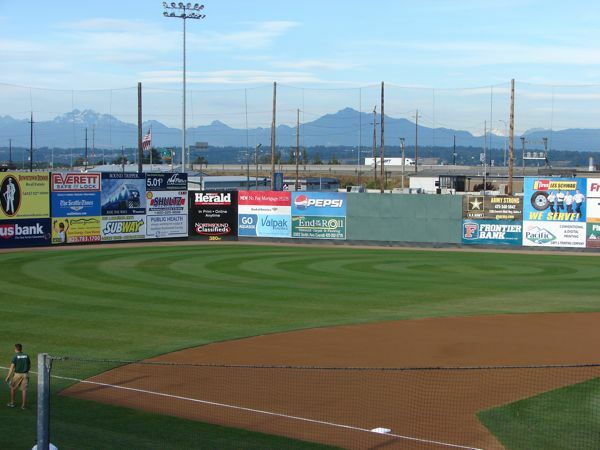 There is a nice view of the Cascade Mountains east of Everett. 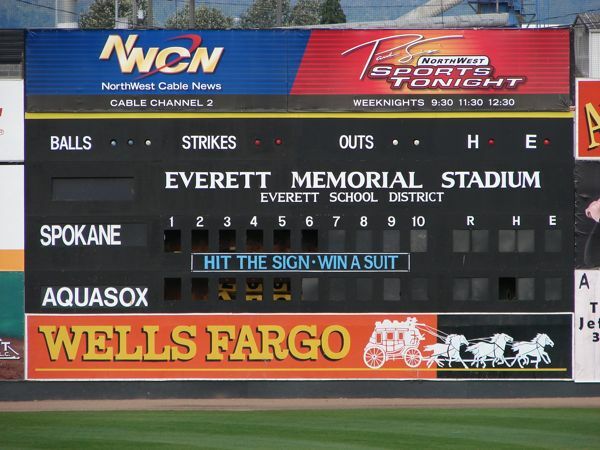 There is a manual only scoreboard which is unusual at today's ball parks. 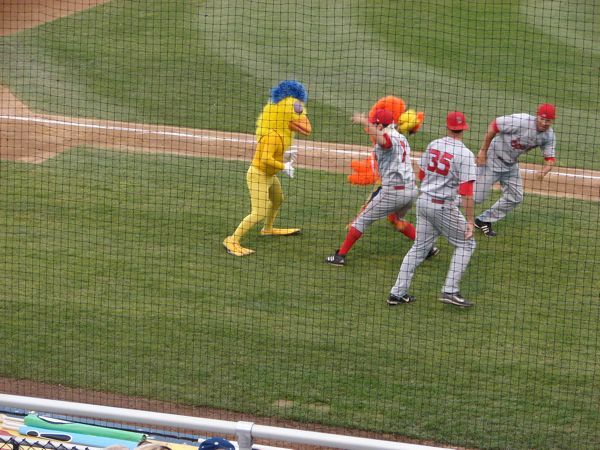 They post a yellow 0 until a run is made or the inning ends. 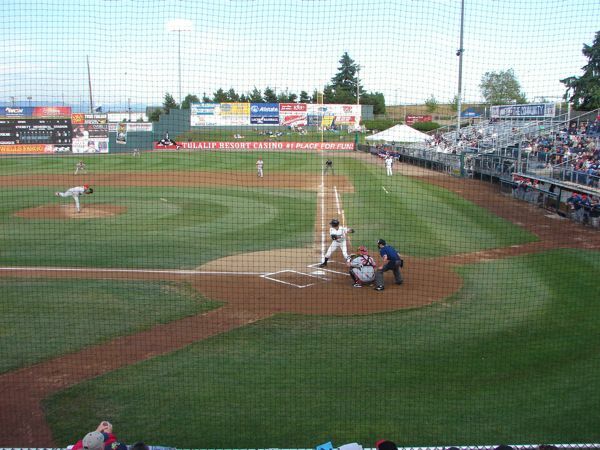 There is a speed pitch indicator in left field. 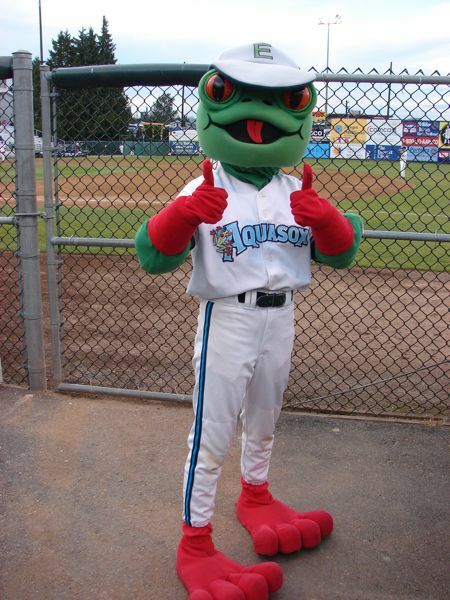 The main mascot is Webley the Frog. 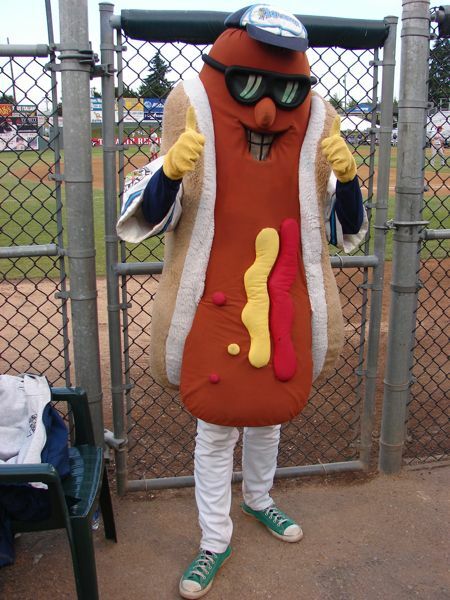 The second is Frank the Hot Dog. 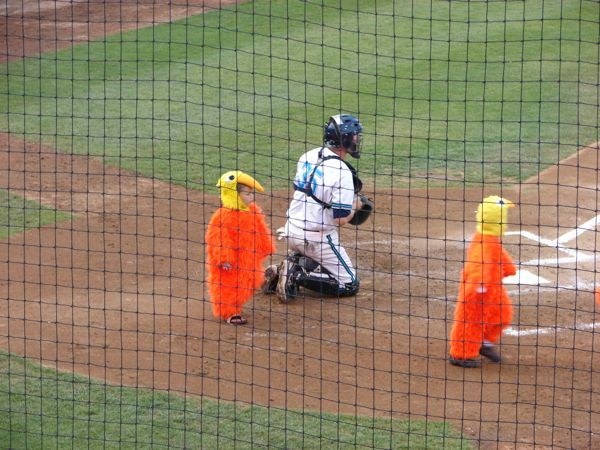 There are several between inning activities: throwing 6 large dice, child throwing fish into net held by parent, and two adults running a radio control car from 3rd to 1st and back-prize of $100 to winner. 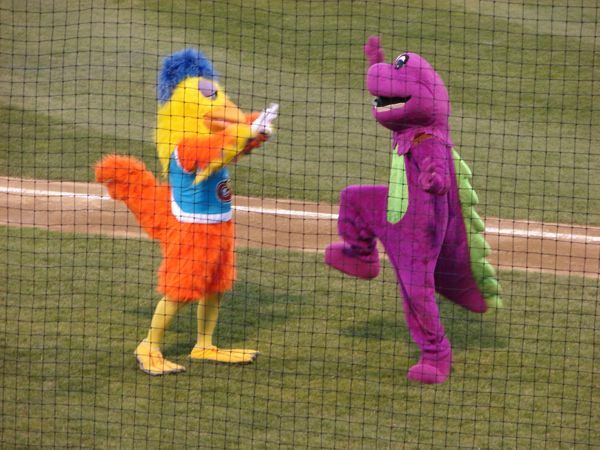 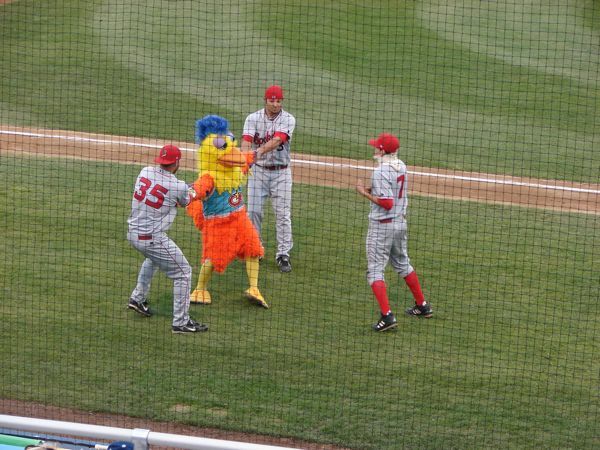 The big attraction tonight was The Chicken who did his usual antics--visiting with Webley, bringing out the little chickens, beating up one of the Indians and then having 3 Indian players beat him up and take off his costume, and competing with Barney. 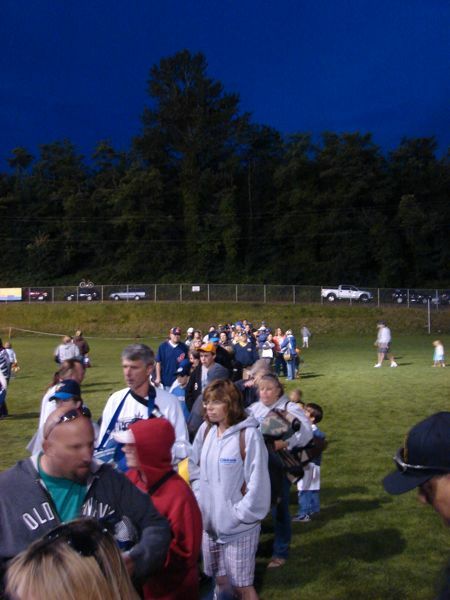 After the game he signed autographs for everyone that wanted one, estimated at over 200 people. 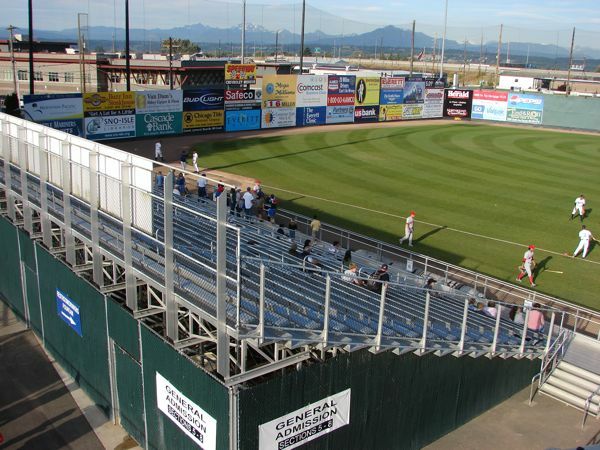 Attendance was 2,325. 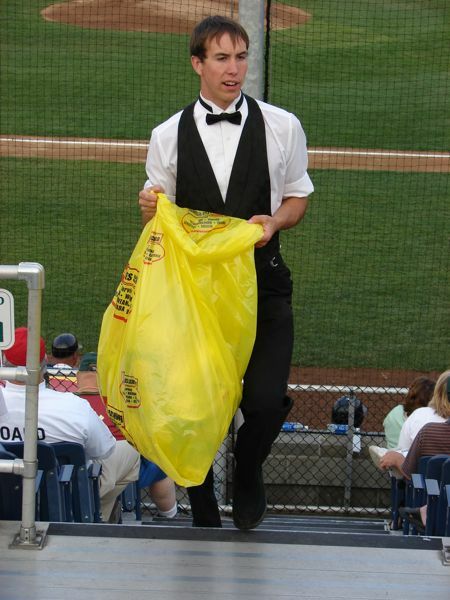 A staff person dressed in Tux goes around with the garbage bag collecting garbage. 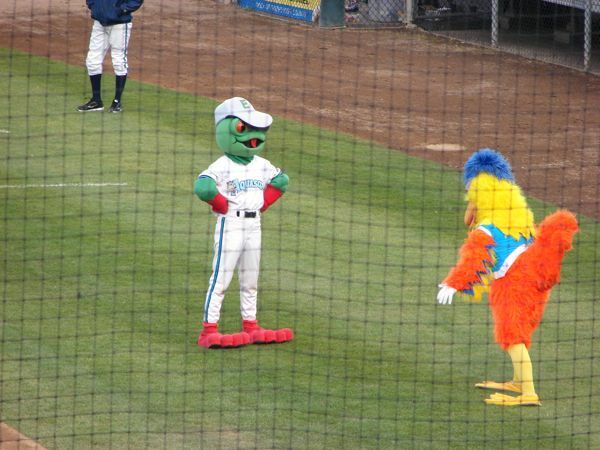 Near the end of the game they pay the children Aquasox Bucks to pick up garbage. 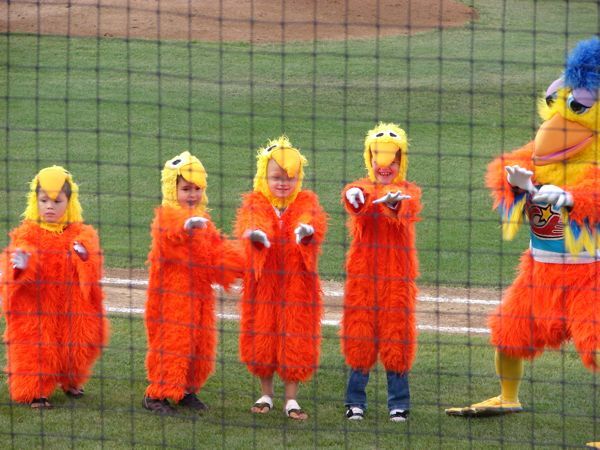 At the 7th inning stretch the children get to go on the field to lead "Take Me Out to the Ball Game". 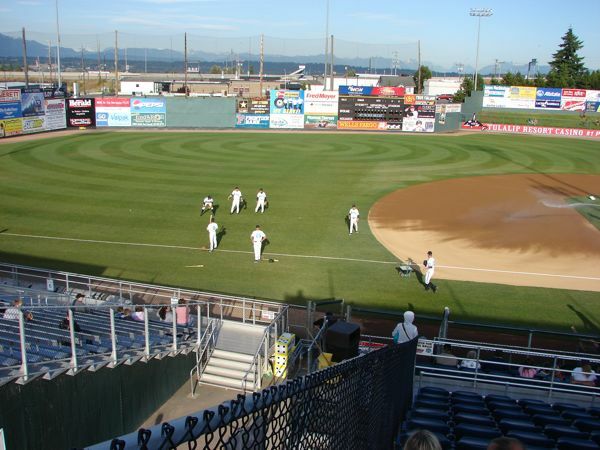 After the game the children were able to run the bases. 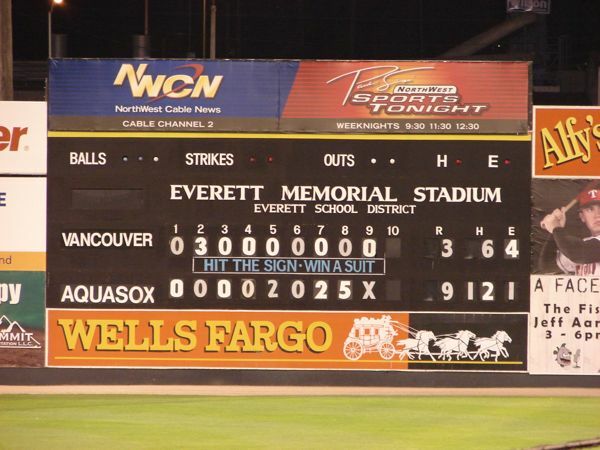 A friend and I attended another game a week later and this time the Aquasox were victorious beating the Vancouver Canadians 9-3. 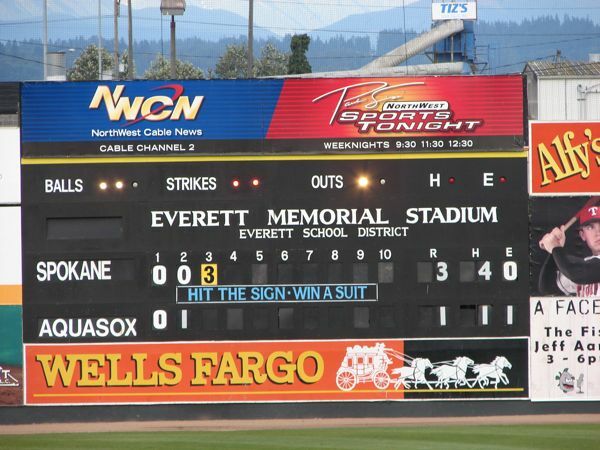 The box score was Canadians R-3, H-6, E-4 and Aquasox R-9, H-12, E-1. 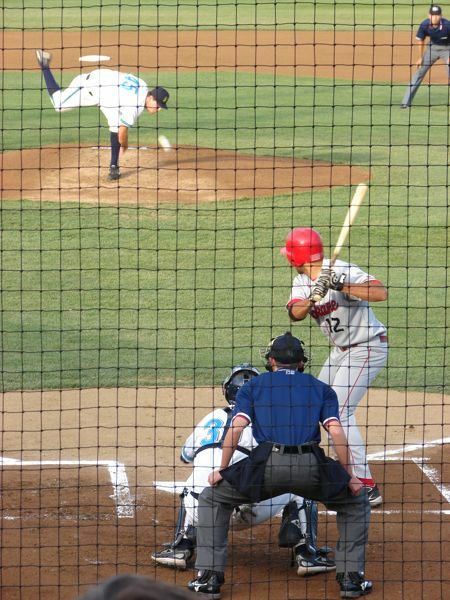 The starter for the Aquasox was throwing heat in the mid-90s and one of the Canadians relievers was doing the same.